Lithuania and Malta were the first countries to benefit from the reviews, in 2015, and results have started becoming visible. The second round, involving Slovenia, Italy and Greece, finished in mid-2017, and the third (Croatia and Cyprus) kicked off in early 2017. Lithuania: The TCR in Lithuania, completed in 2015, suggested that the apprenticeship pathway should be signposted for all stakeholders, leading to recognised qualifications and better employability. Since then, ministries and social partners have taken significant steps in amending legislation, with the first apprentices in place. Malta: Following the TCR, Malta’s policy priority is to distinguish the reformed apprenticeship from other forms of work-based learning, in particular traineeships and work placements, clarifying its place in the overall VET system. 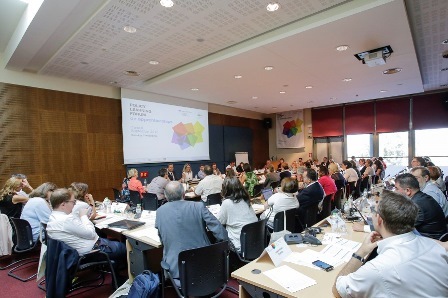 Reform progress is being monitored using Cedefop’s analytical framework. Slovenia: Following the adoption of the Law on Apprenticeship (May 2017), Slovenia finds itself at a crossroads with further decisions needed to put apprenticeship on track. The TCR invites national stakeholders to continue the dialogue to clarify their vision and expectations for the apprenticeship pathway. Italy: The TCR reviewed ‘Type 1 apprenticeship’, one of the three apprenticeship schemes in Italy, leading to upper secondary and post-secondary qualifications in VET and in general education. Though it exists in the legal framework since 2003, Type 1 apprenticeship never took off. The TCR reflected on the conditions for turning it into a system-level opportunity for young people. Greece: Rolled out amidst a major VET reform, the Greek TCR highlighted remaining key challenges regarding the country’s apprenticeship schemes. It presented suggestions for action for national stakeholders to expand and modernise apprenticeships through robust, participatory governance mechanisms and practices for sharing responsibilities and resources. Croatia: The TCR will examine apprenticeship programmes implemented for trades and crafts occupations. Croatia is looking for ways to attract more learners and meet a need for skilled craftspersons and employees. Cyprus: The TCR will look at the new modern apprenticeship programmes that have been implemented as an alternative for learners at risk of leaving education. National stakeholders in Cyprus are looking for ways to raise the quality and improve the image of these programmes, making them a pathway for all learners.